It was a magical June night for Rachel Brumfield. She just married her husband Mike and was getting ready for their honeymoon in Europe. It was supposed to be her first flight overseas. She boarded the United flight 170 from Newark to Venice, Italy, on the evening of June 13. She was nervous. Staring out of the window, she noticed something strange. A stream of liquid started to gush out of the tip of the Boeing 767’s wing. Her husband ran to the flight attendant saying something is out of order. 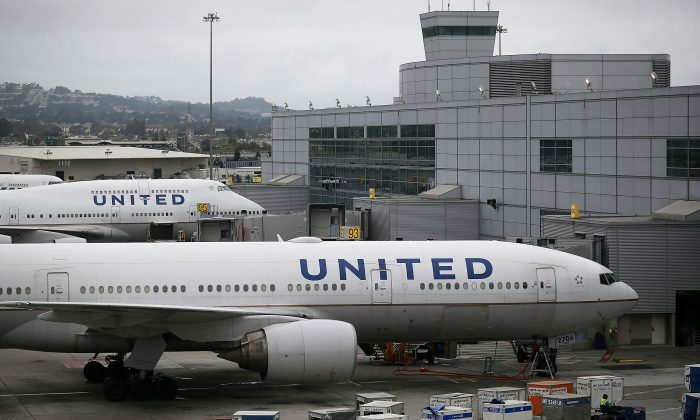 But when asked if it was an emergency, he couldn’t say and the flight attendant told him to go back to his seat, telling him everything is normal, Brumfield told the New York Post. But she couldn’t believe a plane should be leaking something on such a scale. “It was huge—it looked like a fire hose,” she said. She took a video of the leak. Eventually the flight crew checked out the leak and informed the pilot. The plane was leaking fuel—a rather serious defect. The Brumfields were invited to the cockpit for a glass of champagne and thanked for their vigilance. But that was only the beginning of their adventure. The flight was cancelled and passengers were promised accommodation and another flight the next day—June 14. The Brumfields, however, were in a hurry. They were scheduled to board a cruise departing Venice on Thursday afternoon, June 15, so they decided to look for a different flight themselves. They found a Delta flight leaving Wednesday night, which was was good enough. But for some reason, United only provided them with a food voucher, not accommodation, they said. 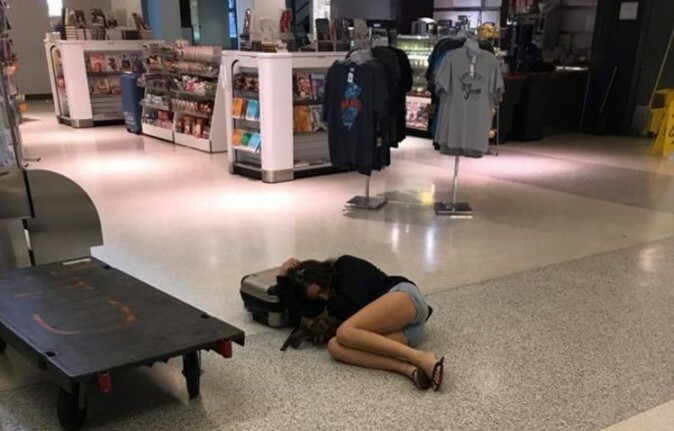 And so Rachel spent the first night of their honeymoon sleeping on the floor at baggage claim. The next morning, Mike vented his frustration on Facebook. The good news is that the Brumfields made it on the cruise; the bad news is the good times didn’t last. On June 21, Rachel took to social media again. Despite the ordeals, she wrote her husband is still “all smiles,” huddled in his cabin bed. Certainly a honeymoon to remember.